Nowadays, there is lots of talk about a growing polarization in our societies. It is said that groups oppose each other ever more more hatefully and aggressively. It also appears that we are less and less inclined to talk with people we strongly disagree with. Instead we'd rather search the company of like-minded people. On Facebook and Twitter so-called echo chambers have emerged in which everyone agrees with other members. 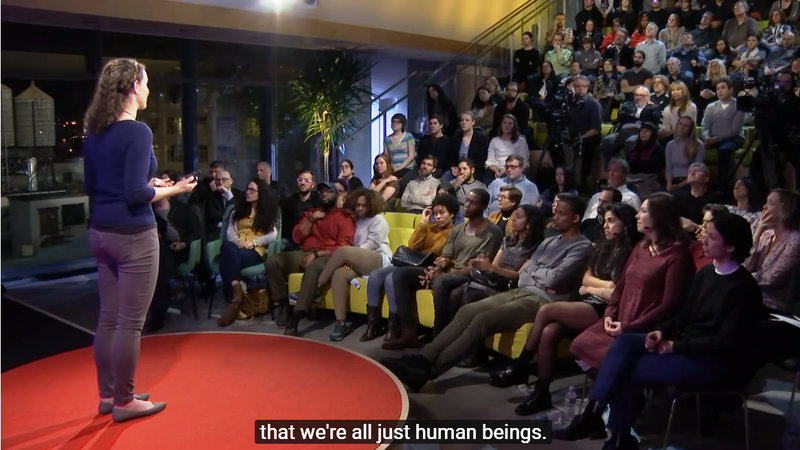 In an inspiring TED talk, Megan Phelps-Roper tells about how she was raised in a radical church community and how she gradually got into contact with people thought differently. She explains how she freed herself from that community and what she has learned from this experience. Phelps-Roper says, at the end of her presentation that we are all just human beings and that we should be led by this elementary fact en should approach each other with generosity and compassion. Just before that, she explains about what she has learned from the people she met on Twitter. Her hostile image of these people from the other side changed slowly but surely because the way some of them treated her openly and respectfully. One of those people is now her husband. I recommend taking 15 minutes of your time to watch this talk.